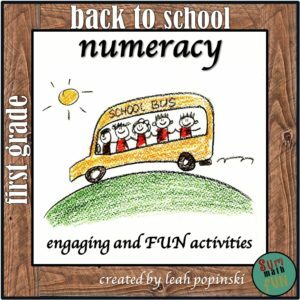 Learning math facts doesn’t have to be tedious or “boring”! 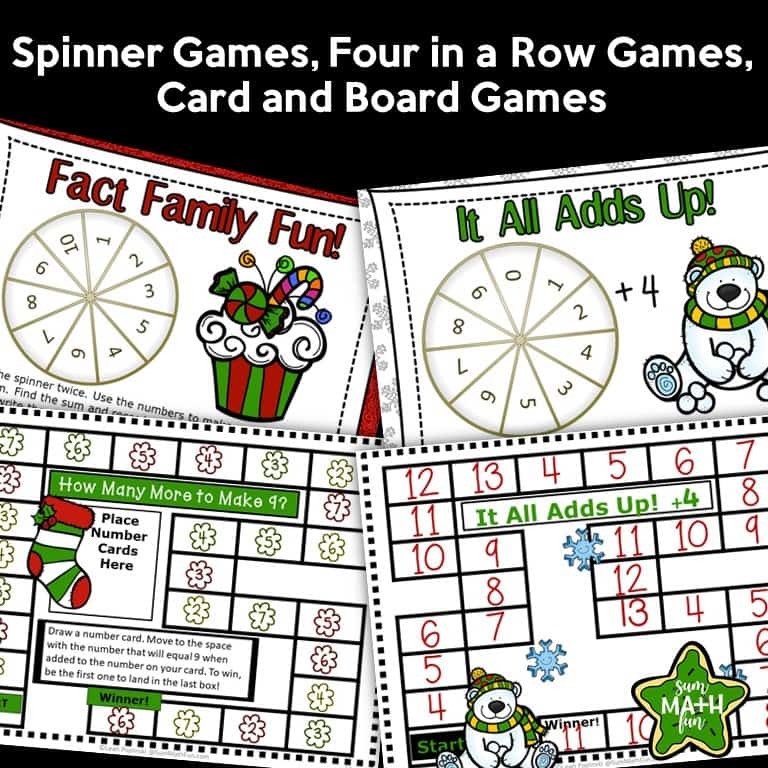 Easily motivate your students, even at this exciting time of year, with this packet that is JAM-PACKED with 14 Christmas Math Centers that come ready-to-go! The cute Christmas theme will help focus students’ excitement. 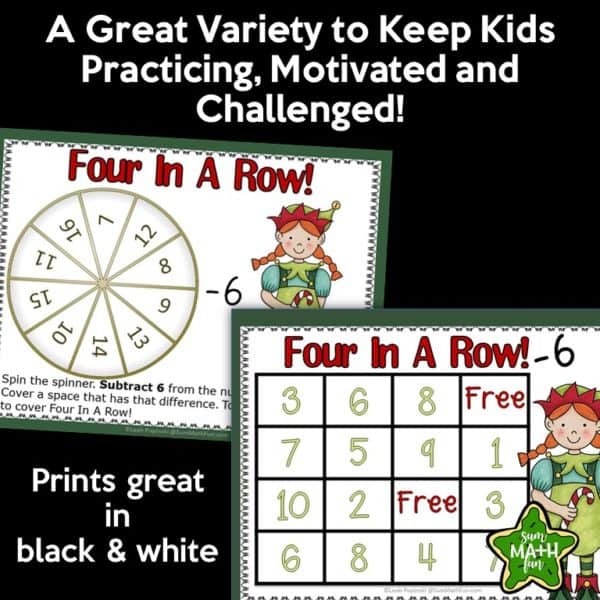 Having these ready-to-go centers will also help relieve the holiday stress for you! 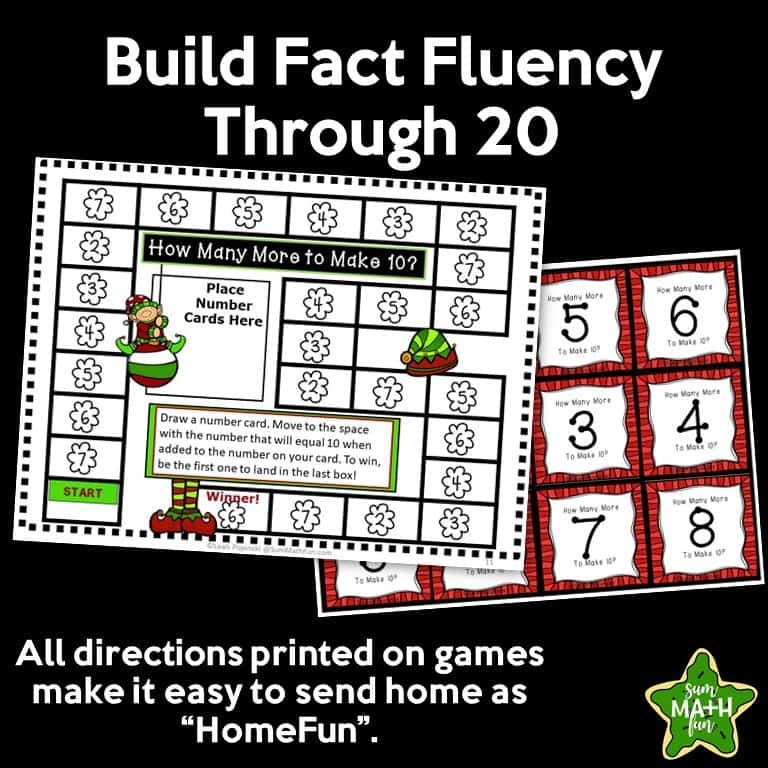 Through the repetition and strategies in these activities, your students will gain fact fluency. 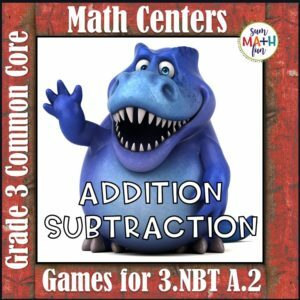 If you need addition and subtraction practice for your kids that is motivating and engaging, try these activities! 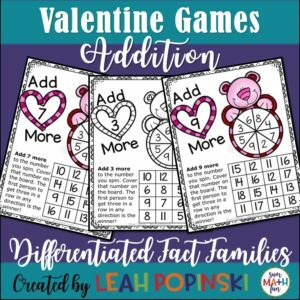 Your kids will have so much fun they won’t even know they are learning! There are 14 games that are engaging, fun, and focused on strategies. Spinner Games, Four in a Row Games, Card and Board Games are all included. 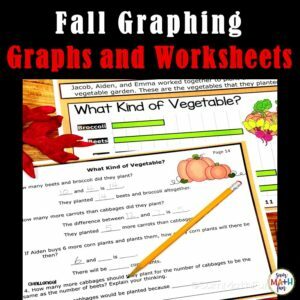 A great variety to keep kids practicing State and Common Core Standards even during this hectic time of year! 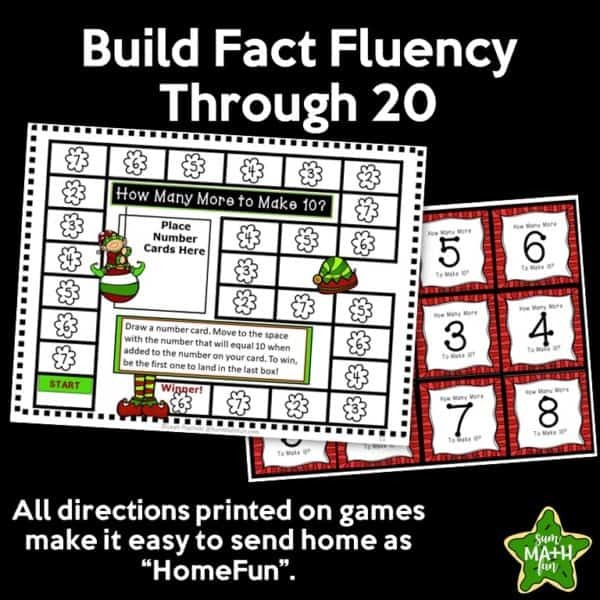 Practice and learn math facts through 20. • Copy and put in a baggie. Done! 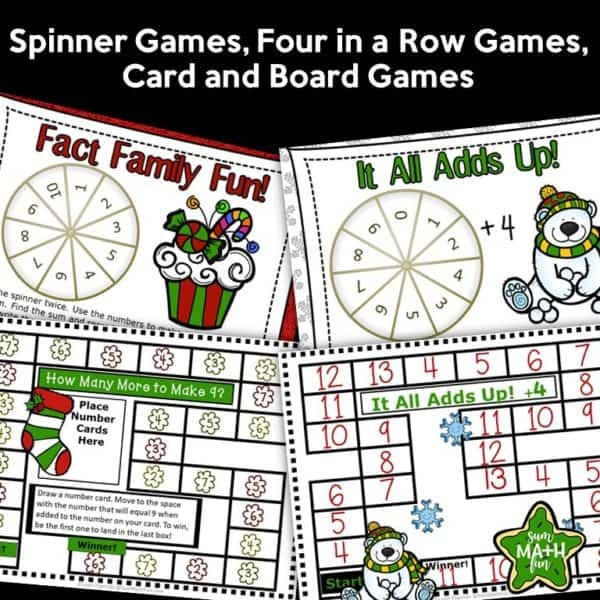 There are spinner games, Four in a Row games, card and board games. A great variety to keep kids practicing State and Common Core Standards during the busy days leading up to the Christmas holiday!